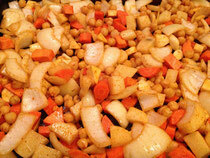 Unfortunately, I’m kind of a dummy sometimes and I put the chickpeas in with the veggies when I roasted them. 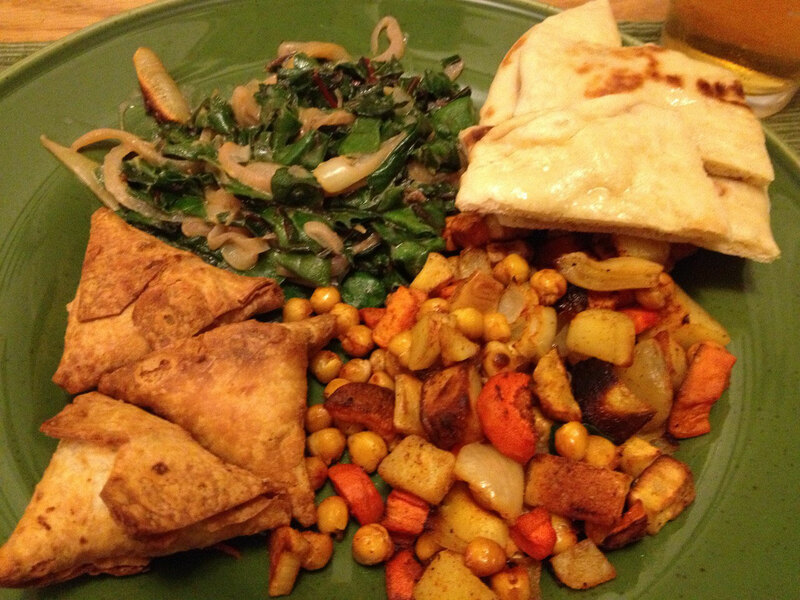 This probably would’ve been ok, if I’d remembered to put the samosas in the toaster oven to bake and didn’t end up needing to keep the veggies and chickpeas warm in the oven for too long. 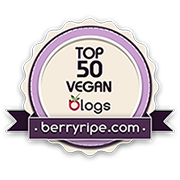 Which… made the chickpeas into chewy, dried out little balls of yuck. Also, despite my reducing the amount of sweet potato by a lot from the original recipe (at the end of this post), it was still more than Seth was really ok with, since he doesn’t like sweet potato and I was really just trying to sneak it by him. I’m not as sneaky as I thought. Anyway, if you make the recipe (and I really do like it a lot when it’s done right), use however much sweet potato you like and don’t overcook the chickpeas, if you use them. Maybe even just add them at the very end of the cooking time. I wanted something green and yummy to go with the roasted veggies that I was so looking forward to. 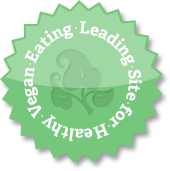 I’ve had my eye on the Quick Curried Chard recipe in Color Me Vegan (it’s in the red section since you use red chard) for quite a little while. This turned out to be the shining star of the meal. 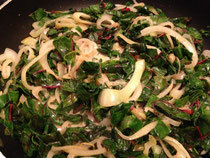 It really is quick – once the chard is chopped and the onion (I used yellow since I was out of red) is sliced, it takes almost no time at all to cook. And it’s good. Really, really good. Amazing that something so simple, which just a few ingredients is so tasty, but there you go. It says it makes 2 servings, and if you have it as a main over rice, I could see that. Since we had it as a side, we got 3 pretty large servings out of it. (Leftovers for lunch! Yay!) We served it all with samosas (Sukhi’s) and naan (Vegan Eats World - best naan ever) which I had in the freezer. So here’s the veggie recipe. Don’t screw it up like I did. Preheat oven to 450. 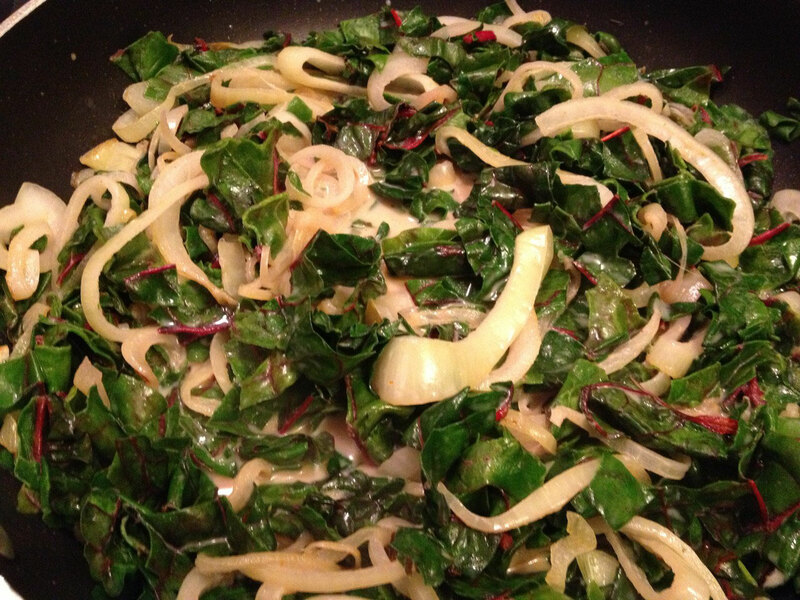 Toss the veggies in and olive oil in a large bowl. Sprinkle with the spices and toss to coat. Spread on a baking sheet and roast for 20-30 minutes, until browned. 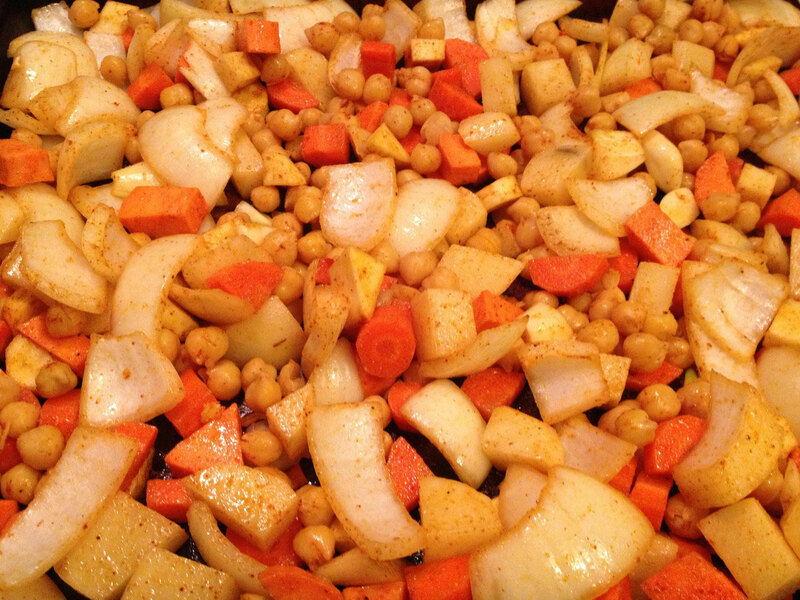 Do not overcook the chickpeas.